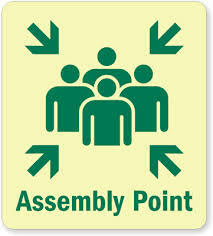 An assembly area is where the hikers meet for a given hike on the schedule. Please arrive at the assembly area 10 minutes before the posted start time for a prompt departure. Parking lot next to St. Philips Church. The parking lot is located at the corner of S. Rice Street and East Main Street between Comporium and St. Philips Church. Bi-Lo Assembly Area: The Bi-Lo Assembly Area is located in the Bi-Lo parking lot, along the curb overlooking the Pizza Hut. From downtown Brevard drive 3.4 miles east on US64/US276 to the intersection and traffic light where US64 turns right, US276 turns left and NC280 goes straight ahead. At that intersection turn left and then immediately right. Go past Pizza hut and turn right into the Bi-Lo parking lot. The coordinates for the Bi-Lo Assembly Area are N 35 deg. 16.57 minutes X W 82 deg. 42.63 minutes. Catheys Creek Assembly Area: The Catheys Creek Assembly Area is on the south side of Cathey’s Creek Road about 100 yards from its intersection with US64. The intersection is out US64 SW from Brevard — 2.9 miles from where US64 West rejoins US64 East after going through Brevard (3.5 miles SW on US64 from the center of Brevard at Broad & Main Streets). The coordinates of the Catheys Creek Assembly Area are N 35 deg. 12.11 minutes X W 82 deg. 46.60 minutes. Cedar Mountain Community Center: The Cedar Mountain Community Center is located on US276 next to the Cedar Mountain Cafe just before the intersection of US276 and Cascade Lake Road. The coordinates of the Cedar Mountain Community Center are N 35 deg. 8.93 minutes X W82 deg. 38.89 minutes. Lowe’s Assembly Area: The Lowe’s Assembly Area is in the Lowe’s parking lot at the entrance off Ecusta Road at the intersection of Ecusta Road and US64, along the curb line closest to and parallel to US64. From downtown Brevard, drive 3.2 miles east on US64/US276 to the intersection and traffic light at Ecusta Road. Turn right onto Ecusta Road and then left into the parking lot. Municipal Lot Assembly Area: This assembly area is in the municipal parking lot off Varsity Street behind South Broad Park. From downtown Brevard, drive 0,4 miles southwest on US64. At an iron-fenced park with a “South Broad Park” sign, turn left on Varsity Street (between the end of the fence and the UU Congregation building. The parking areas are the first and second entrances on the left behind the park.